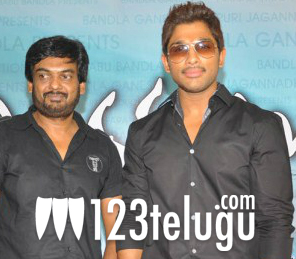 Allu Arjun can’t stop raving about Puri Jagannadh’s style of working. The duo has worked couple of times in their career spanning more than a decade and Allu Arjun acknowledges that he shares a great rapport with Puri Jagannadh. The latest film in their combination, Iddharammayilatho is all set for a massive release on May 31 and all eyes are on Allu Arjun, who’s riding high post the success of Julayi. Iddharammayilatho is the most stylish film in Allu Arjun’s career so far and in several interviews in recent times, Allu Arjun was quoted saying that Puri Jagannadh has outdone himself in the way he has etched the hero’s characterization. “It’s important to share a good rapport with the director and only then can he bring out the best from an actor. Regardless of its result at box-office, Iddharammayilatho is a complete Puri Jagannadh’s film and I just did what he expected me to do,” Allu Arjun said. The film also stars Amala Paul and Catherine Tresa in lead roles. Devi Sri Prasad has scored the music and Bandla Ganesh has produced it.